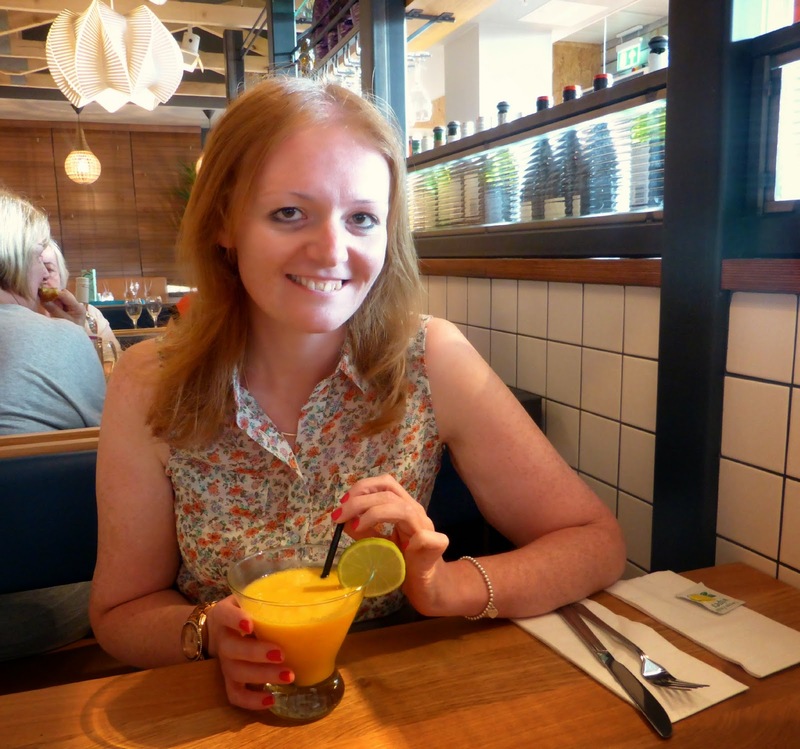 Earlier this month a very exciting thing happened in Newcastle when a Giraffe restaurant finally opened in the North East. This is something I'd been wanting to happen ever since I arrived in Newcastle, you see Giraffe and I go way, way back - we are very old buddies and settling into my new home without a Giraffe did feel kind of wrong. Giraffe is a restaurant that celebrates food by picking out some favourite dishes from across the globe and putting them in a bumper menu full of tasty food. Add in some chilled music with a relaxed atmosphere and you have yourself a rather fantastic place to enjoy a meal. As I've mentioned before, Giraffes are my favourite animals so when I stumbled across Giraffe the Restaurant many years ago back in London I just had to go in, based on its name. That first visit I ordered brunch and it was so delicious it became my favourite place in the Capital to breakfast at the weekends. Back then Giraffe wasn't the mammoth restaurant chain that it's become today, it had just a few restaurants dotted across London. At the end of my meal I picked up a restaurant location booklet and made it my mission to adventure to different areas of London to pay a visit to each Giraffe and eat brunch. I can't remember making it to all of them but I definitely ticked a fair few off the list and it was great to discover some new areas of London. 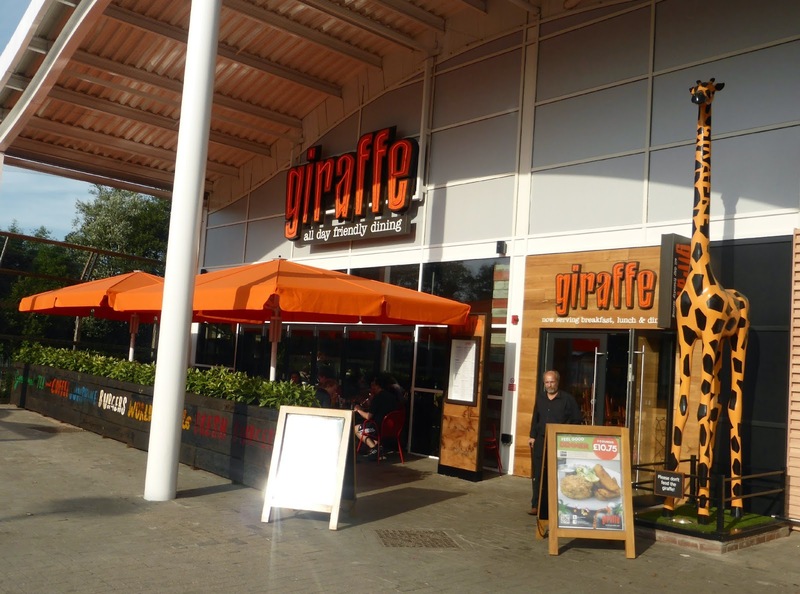 Fast forward ten years or so and Giraffes are popping up all over the UK with 46 restaurants currently open. The newest of these you'll find at Kingston Park, positioned right near the Metro Station, a few stops away from Newcastle Airport and conveniently located right next door to the largest Tesco Extra I have ever been in. Simon and I hopped on the Metro earlier this week and made the short journey from the centre of Toon to Giraffe for some much anticipated dinner. The first thing I noticed as soon as we walked in was how big the restaurant is. There are plenty of tables and they are really pleasantly positioned to ensure you're not eating on top of your neighbour. The restaurant also gets a huge amount of light thanks to the massive window at the front which makes it a lovely bright open space. Whilst looking at the menu it only seemed right to have a cocktail and we were so pleased at the amount we had to choose from. 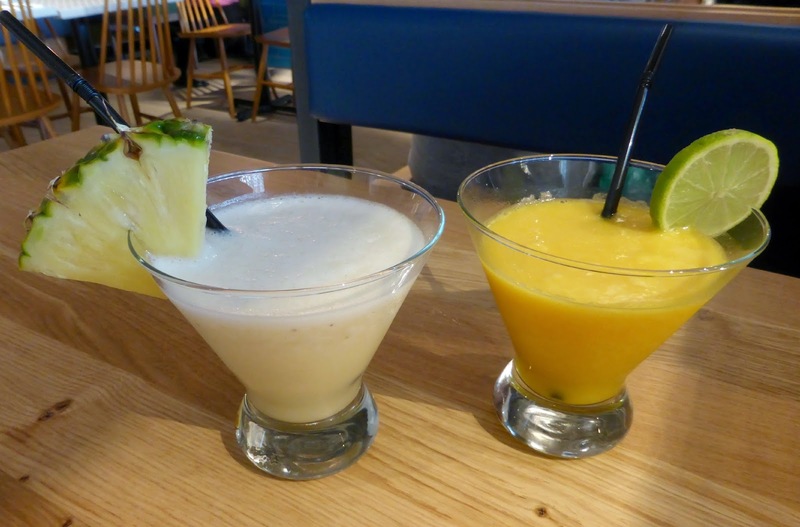 I decided on a Mango Lime Daiquiri and Simon had a Pina Colada Deluxe. They were really refreshing, and as silly as it sounds, very fruity. Too often cocktails taste a little watery as they are packed out with ice however in Giraffe the cocktails are very smooth. I was amazed at how well I could taste the Mango above everything else. Absolutely delicious. It's not often we indulge in a three course meal but we decided to really go for it this time and have a good taste of what Giraffe has to offer. The Starters Menu consists of small plates, appetizers and sharing dishes with plenty for everyone. As someone who suffers from a nut allergy I was really impressed to see that the menu was very clearly labelled with vegetarian, nut and gluten free symbols. We both chose from the appetizer section. 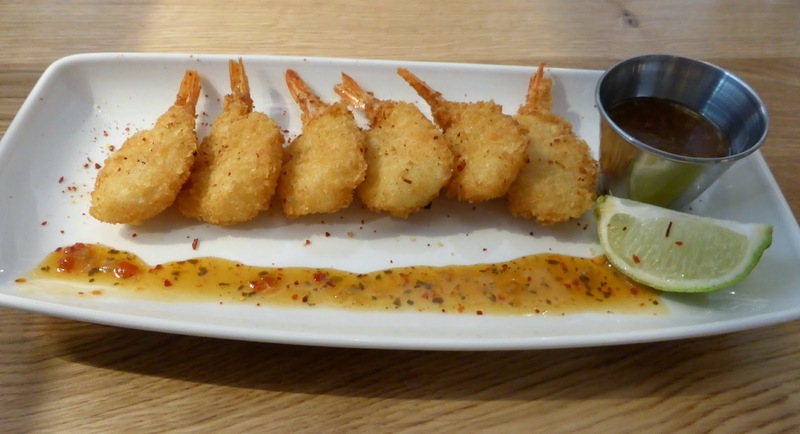 I went for the Crunchy Shrimp which was served with a wedge of lime and a really generous pot of sweet chilli sauce for dipping. I was enjoying the dipping so much I did think about maybe swiping the remainder of the pot to mix in with my main course. Simon opted for the Orange BBQ Duck Tostada. 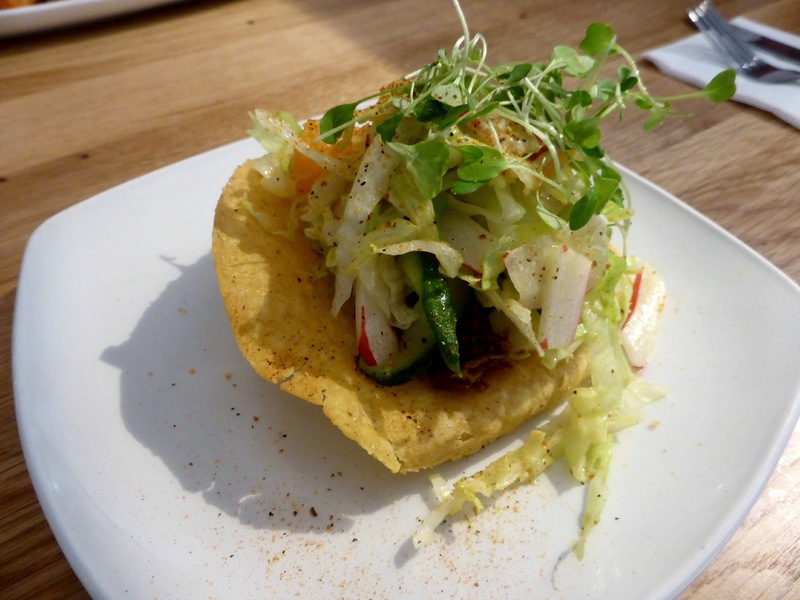 Served on a crispy corn tortilla the duck was lovely and sticky with a generous helping of salad on top. If we thought the Starter Menu was large we hadn't seen anything yet. The Main Menu displayed pages of delicious food, with offerings of burgers, grills, pastas and salads as well as some old favourites. 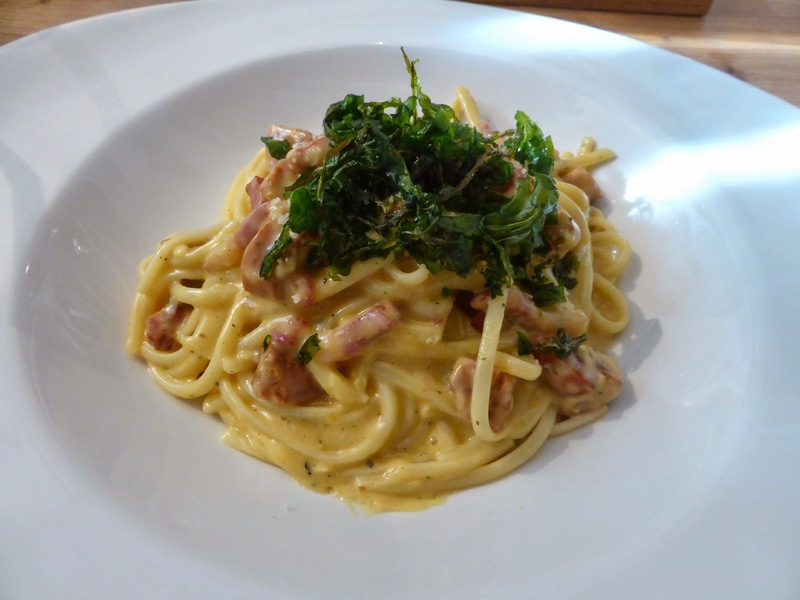 I decided on a pasta dish and chose the Chorizo Sausage Carbonara. It was a perfectly sized portion and really lovely and creamy. 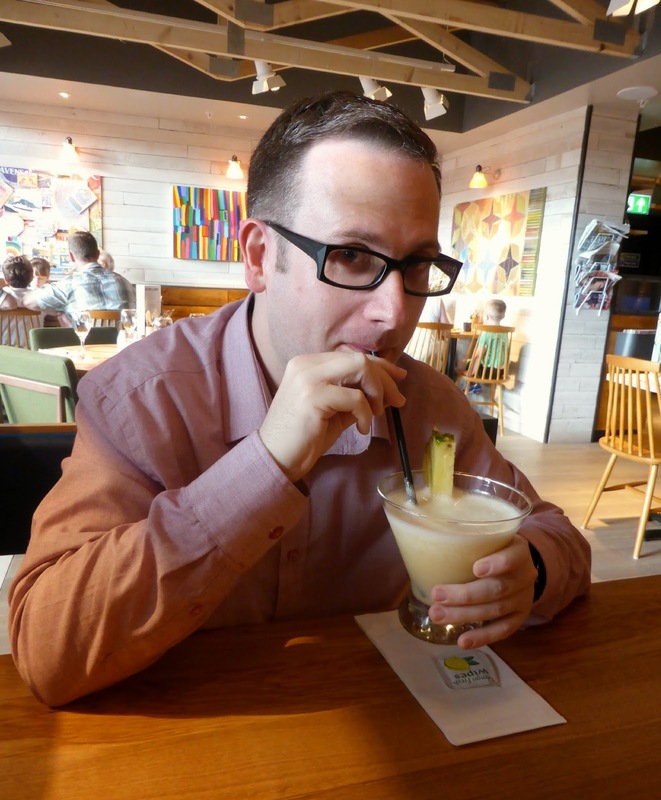 Although the Chorizo did have a bit of a kick to it (I'm the biggest wuss with even slightly spicy food) I had my Daiquiri on hand to cool my mouth. 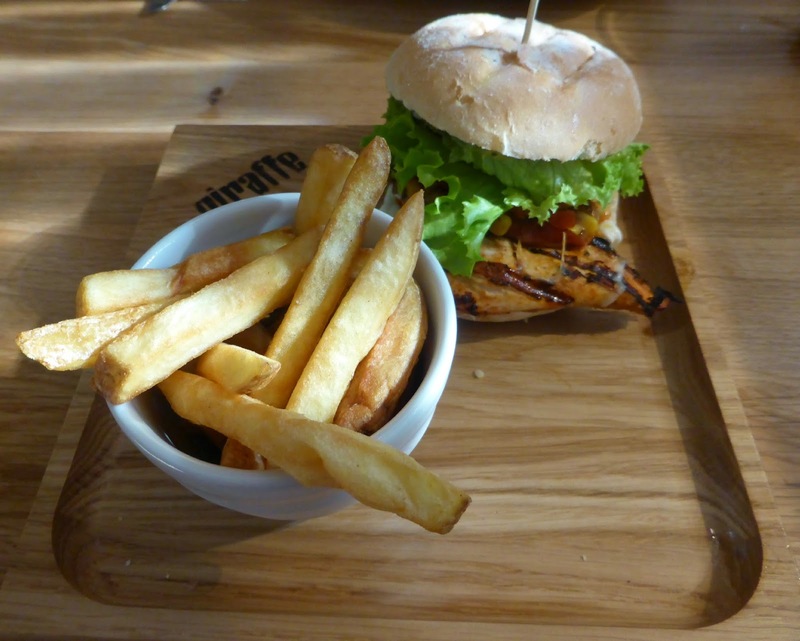 Simon is a bit of a burger monster so chose the Mexican Chicken Burger. It was stuffed full with yummy flavours and I had an amusing few minutes trying to watch him tackle it. It definitely wouldn't be a dish to pick on a first date, he had his roasted corn dropping out all over the place. It was worth the mission though, he very happily tucked his way through it and was especially impressed with his chips. Now for my favourite part of any meal - dessert! I will admit I'd been looking forward to dessert all day! The Dessert Menu at Giraffe is a dream, I couldn't get over how many things I wanted, picking just one was so difficult. 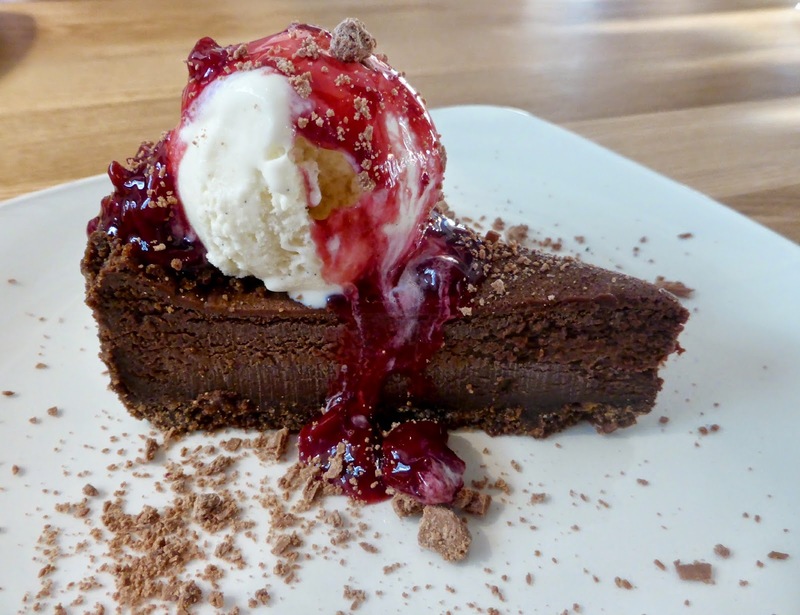 In the end I chose the Chocolate Pie which was served with cherry ripple ice-cream. It was very rich so definitely the dish to pick if you're a chocolate fan, it was perfectly complimented by the cherries. Simon had the Banana Waffle Split which I just about managed to have a few spoons of in between stuffing myself with Chocolate Pie. 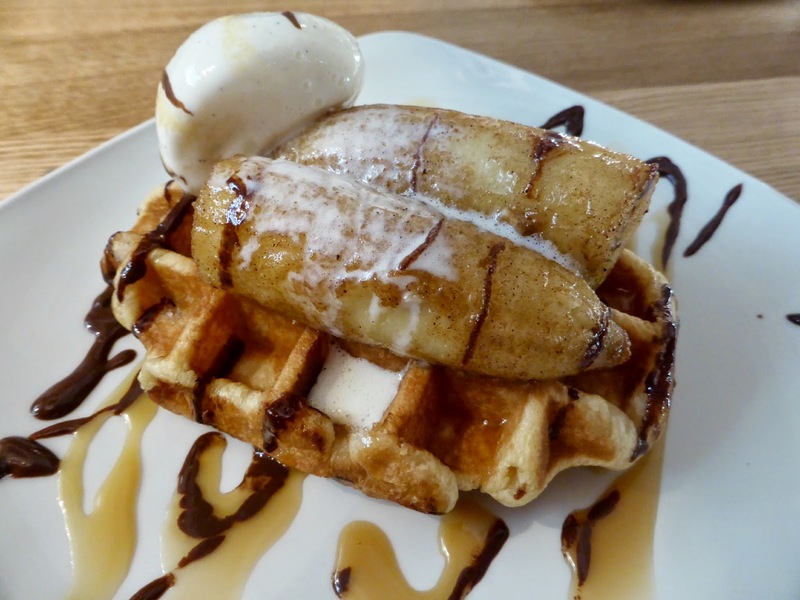 We loved how the banana on top of the waffle was roasted and that it was served with ice-cream, chocolate and butterscotch sauce. By the time we'd finished we were completely and utterly full to bursting but had rather huge grins plastered across our faces. The food at Giraffe was even better than I remembered and I can't wait to go back again. It's always worth checking the Promotions section of the Giraffe website as they have lots of deals to enjoy including "Lunch for Less", "Burger Tuesdays", "Kids Meal Deal" and "Feel Good Dinner". Also if you fancy taking the whole family down to the new Kingston restaurant Kids Dine for Free until Friday 15 August with any Adult Main purchased. Before I go I'm going to leave you with a very exciting little bit of gossip, Giraffe is going to be opening another restaurant in Newcastle next Spring when it opens in Eldon Square as part of the new Restaurant Quarter. You know what they say - Giraffes are like buses, you wait forever for one to turn up and then loads arrive at once. Welcome to Newcastle Giraffe! It was worth the wait! Our meals and drinks were provided to us free of charge for review purposes. I am however a very long time fan of Giraffe and I only speak the truth. Thanks so much to the team at Kingston Park for being so welcoming and especially to our lovely waiter Sam who was so helpful, happy and friendly. I haven't been to Giraffe for a while. I must go back! I once sat in that one for about 5 hours! We went in for breakfast at 11:00 am, sat and chatted for a while with some drinks then had a late lunch - we didn't leave until 4:00 pm! I was so shocked they didn't kick us out! I've never been to Giraffe but now there's one in Geordieland I'm definitely tempted! Definitely worth a look, especially for brunch! Ah no way! I used to work next to the big Tesco at Kingston Park!! This must be super new because I've only been gone 5 weeks! I think it opened about 2 weeks ago so yes brand new! The food looks amazing! 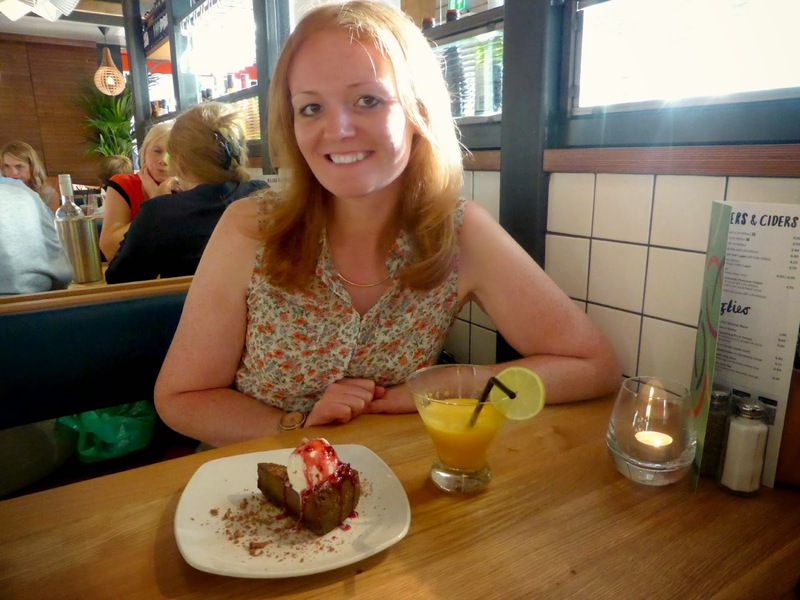 I went to Giraffe on the Southbank about a month ago and had the Jambalaya. I didn't quite fall in love...but I think I need to give them another chance...especially after these photos! Definitely worth another go I think :D Try the brunch maybe? I have never tried Giraffe out before....Must make the effort now there is one in Newcastle! Definitely worth the little trip out of town, the food is yummy and the kids will love it! Ah brilliant, next time you're visiting your Mum you know where to head! We'll definitely be going back! There must be one, they're popping up everywhere now! I've never heard of these restaurants.. but they sound and look amazing!